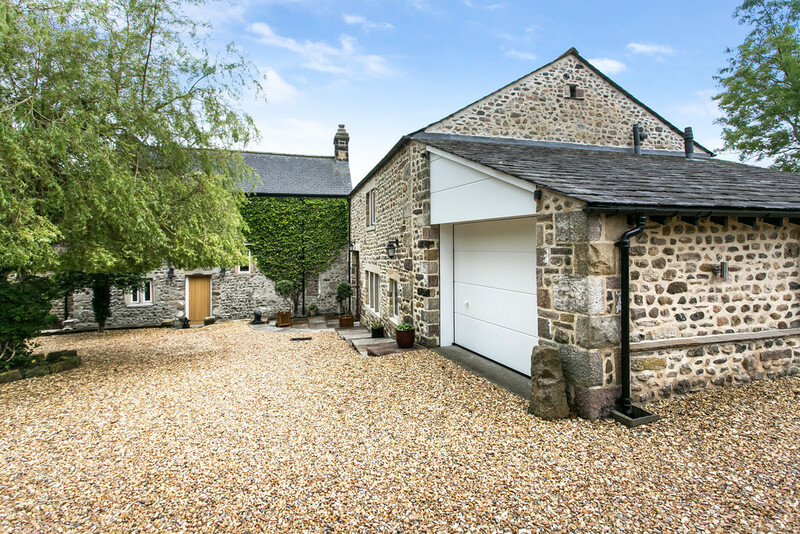 Set around a picturesque, walled courtyard on the outskirts of the popular village of Slyne-with-Hest sits this beautiful Grade II Listed cottage and barn conversion. 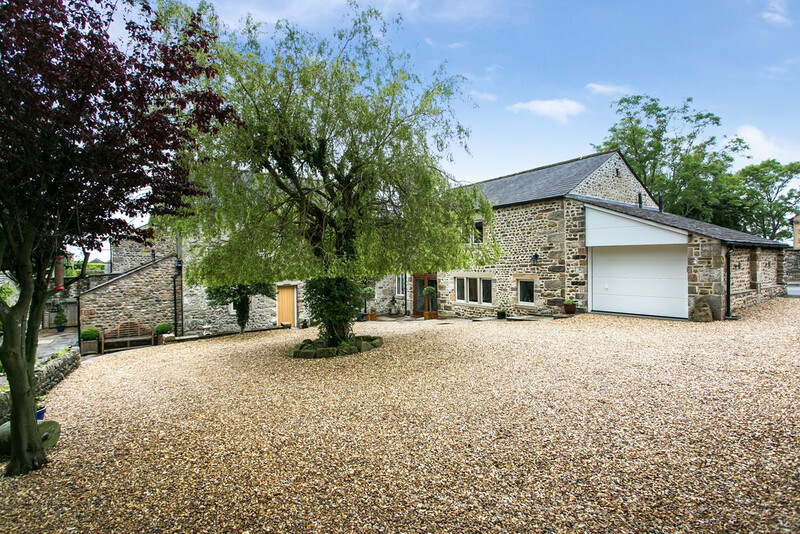 Believed to date back to 1575, the house was saved from demolition in the 1960’s and more recently the attached barn has been saved from ruin and transformed into the modern main wing of this versatile home. 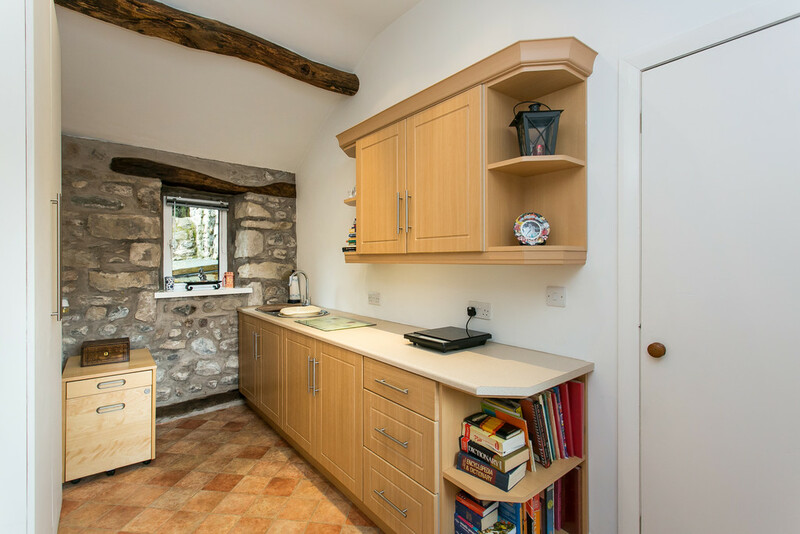 The conversion has been painstakingly carried out to ensure that every original feature has been utilised, from repurposed stone plinths to hearty oak beams and lintels. 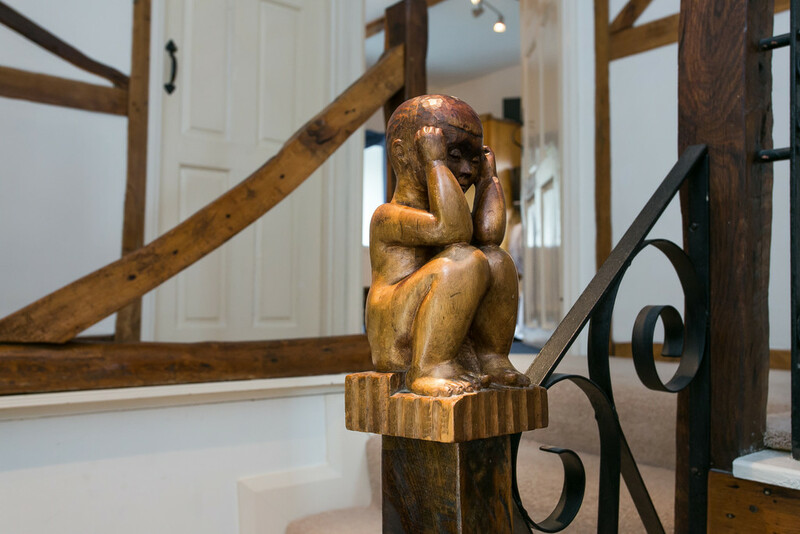 Contemporary features and new installations have been carefully selected to ensure they blend seamlessly with the original charm, including oak woodwork throughout. Now Little Grange presents an intriguing and versatile package that together includes a contemporary open plan kitchen and dining room, living room and a total of four double bedrooms, of which two are ensuite. 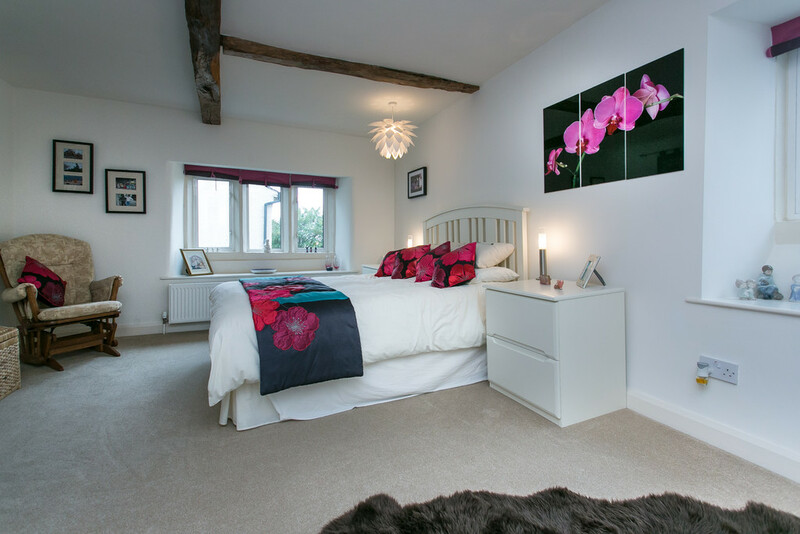 At present, one of those ensuite bedrooms is located within an attached annexe however this accommodation could easily be reincorporated into the flow of the main house if required. 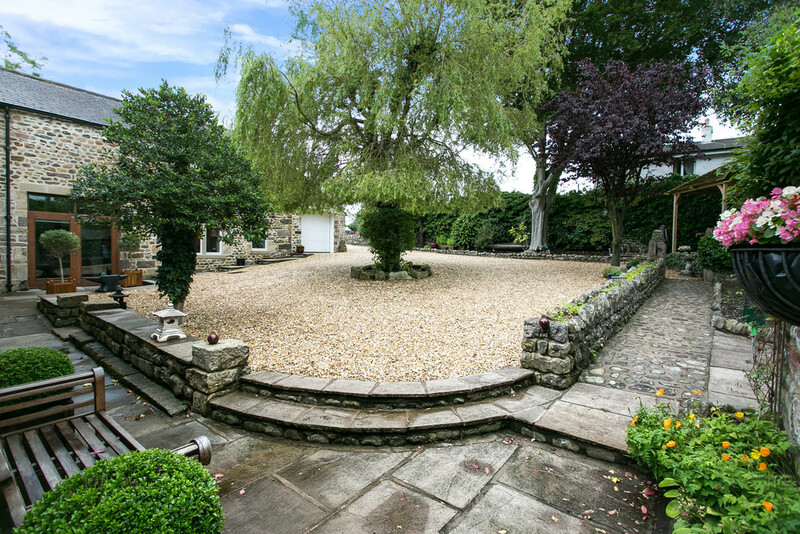 There is plentiful parking available around the golden gravel driveway that is centred around a grand Weeping Willow affording for a useful turning circle. A flagged patio bounds the courtyard and there are some lovely private spots from which to take in the peaceful setting. 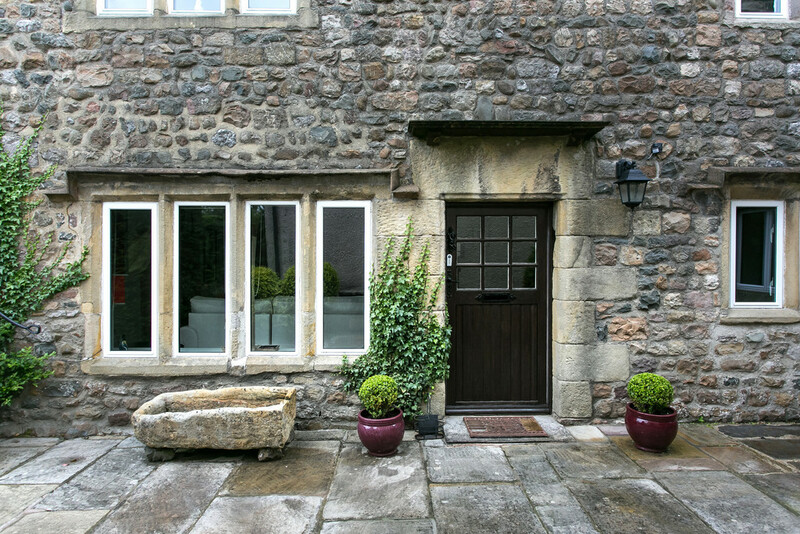 The annexe also enjoys its own flagged stone courtyard and there is a fantastic patio on the front which can be accessed from the dining area of the barn, ideal for outdoor dining. 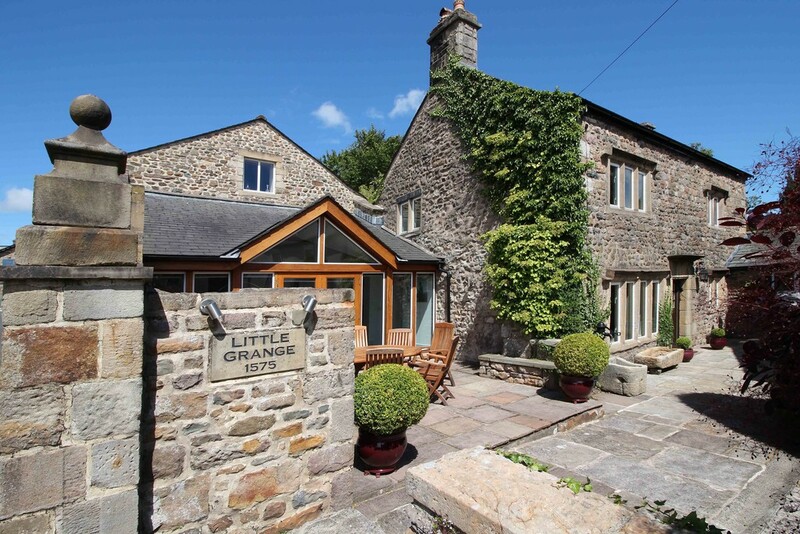 Being only a stones throw away from the A6 and on the periphery of this highly sought after Lancashire Village that also sits within a conservation area, Little Grange is well placed for travel into Lancaster, and also commuting further afield. Slyne village has a vibrant community centred around a wonderful primary school, in addition there are a variety of clubs including tennis, football and bowling. Useful amenities such as a Post office, village store, pharmacy and a choice of two pubs/ restaurants also further enhance, making it an outstanding choice for a professional couple and their family. Families will be delighted with the choice of local schooling, with the well regarded Slyne with Hest primary school within walking distance from the property and the renowned Lancaster Boys & Girls Grammar Schools just a short drive away. There is a choice of entrances into the house; the original entrance into the main house featuring a date stone of 1575 above which leads into a vestibule with adjoining cloaks room with WC and wash hand basin. 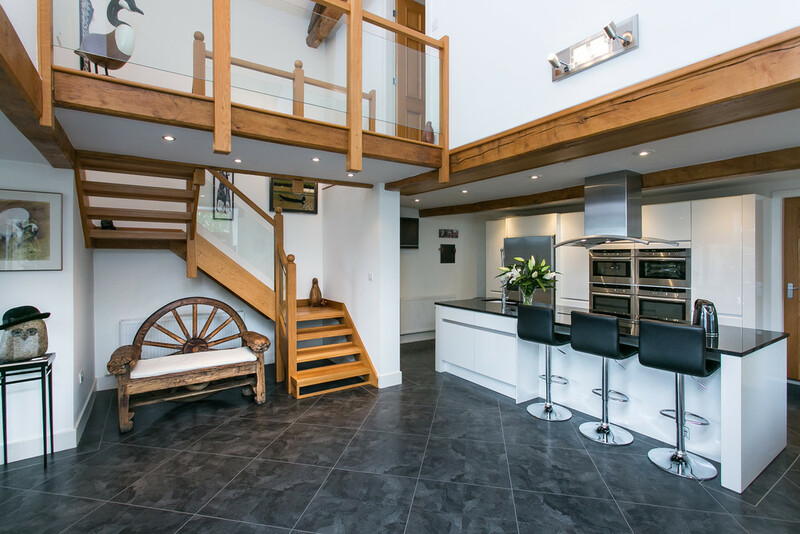 Secondly, flagged steps lead down to a glazed door and surround that leads directly into the stunning open plan kitchen, dining and living room of the barn conversion. 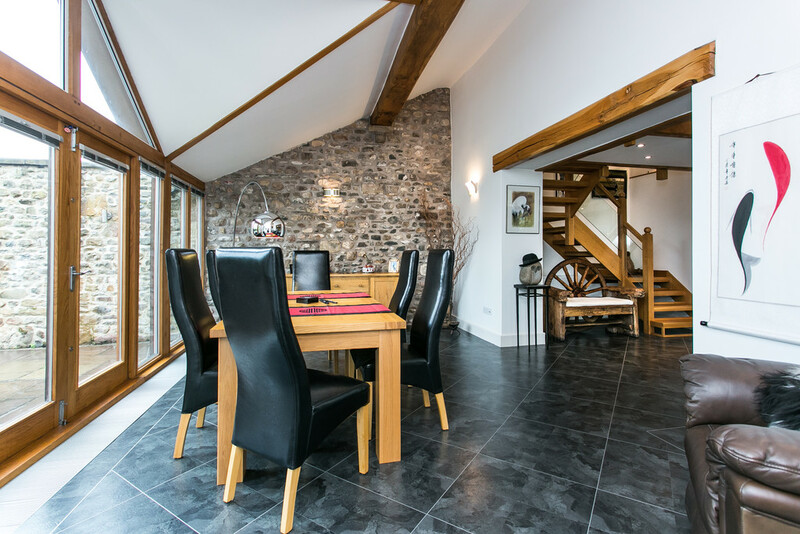 The blend of modern and old has been greatly achieved by the local architects with high ceilings reaching to the exposed wooden trusses of the roof and a glass balustrade mezzanine landing seen above. 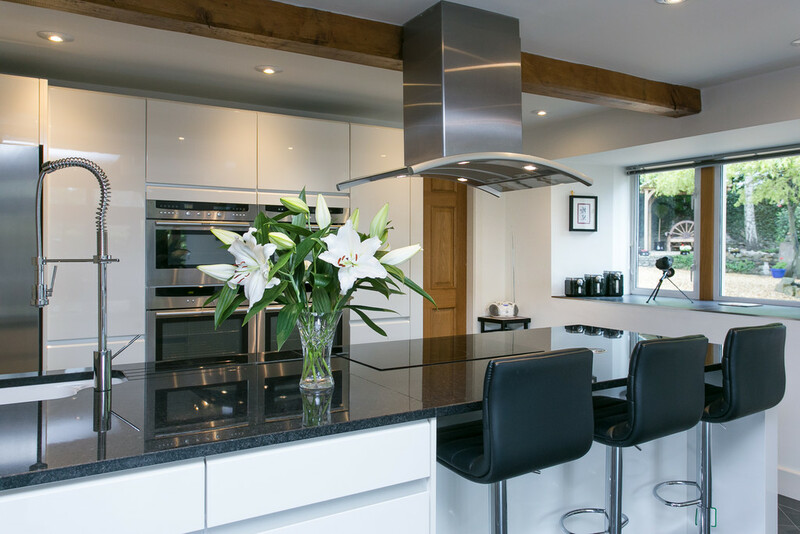 The kitchen immediately captures your attention with a contrasting range of contemporary gloss wall, drawer and base units and large island with granite worktops encompassing a NEFF 4 ring induction hob with extractor over. Other high quality NEFF appliances include 2 ovens, combination microwave, steamer, American style fridge freezer and an integrated dishwasher. 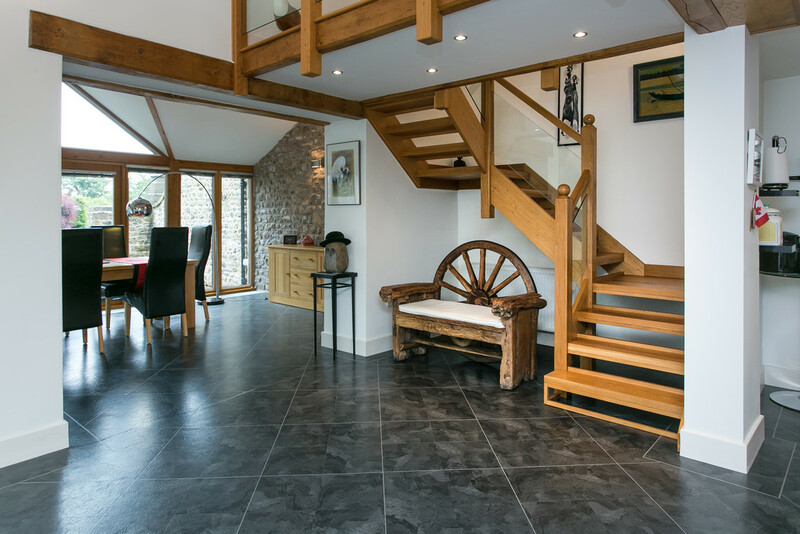 The central island doubles as a breakfast bar and the Karndean floors running throughout the ground floor of the barn prove both attractive and practical. Located just off the kitchen there is also a handy utility room with range of units and space for a washing machine, dryer and additional fridge and freezer if required. Open to the kitchen is the stunning dining area which features a wall of Oak framed glazed windows to the gable end and external access onto a flagged patio which is perfect for alfresco dining. An exposed stone wall and stone and wooden lintels make for eye catching features along with the high angled ceilings and exposed oak beams that pull together the charm and character of this newly converted portion of the house. 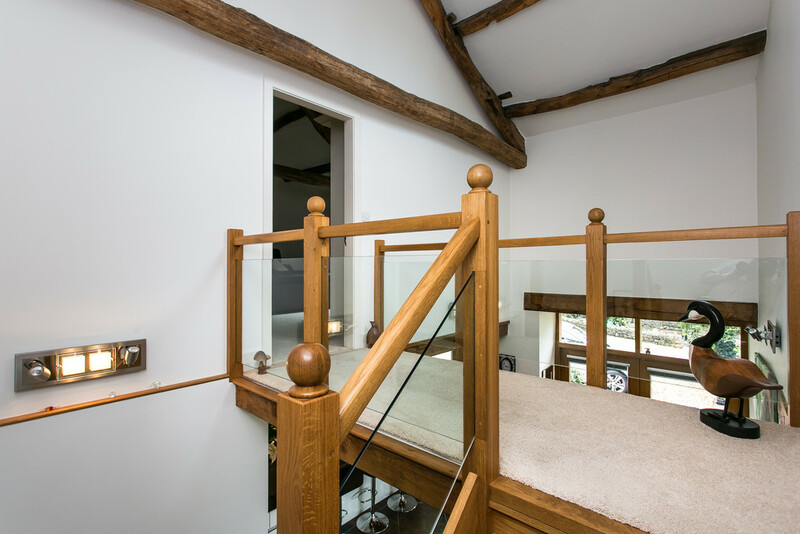 On the first floor of the barn, enjoying a beautiful glass balustrade mezzanine landing area, is a stunning master suite. The ceilings are again high, with the original wooden trusses exposed and charming inset windows overlooking the courtyard. 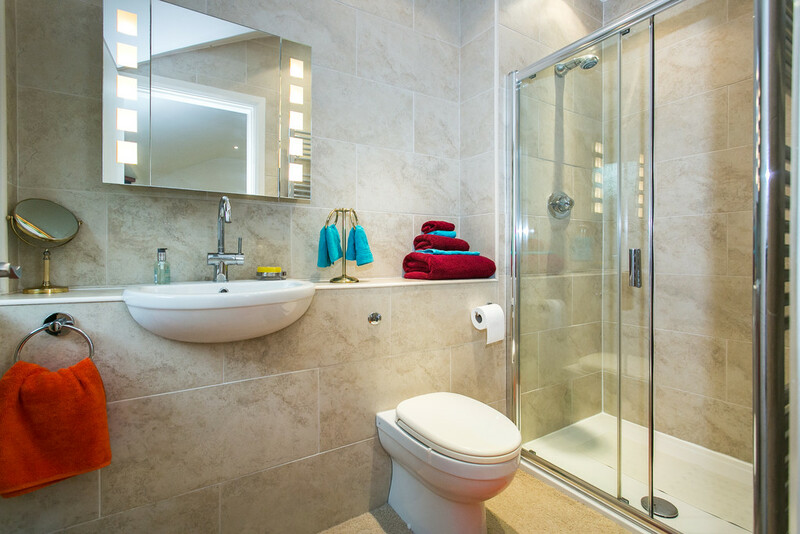 There is an open dressing area with a full range of fitted wardrobes and a dressing table along with a modern, fully tiled ensuite that benefits from underfloor heating and features a walk in shower, WC and wash hand basin. Entering into the living room within the original main house, this space is again abundant with period features including the original stone mullioned windows, original wooden panelling and an impressive stone fireplace which is believed to have been salvaged from a nearby historic house and is dated 1697. 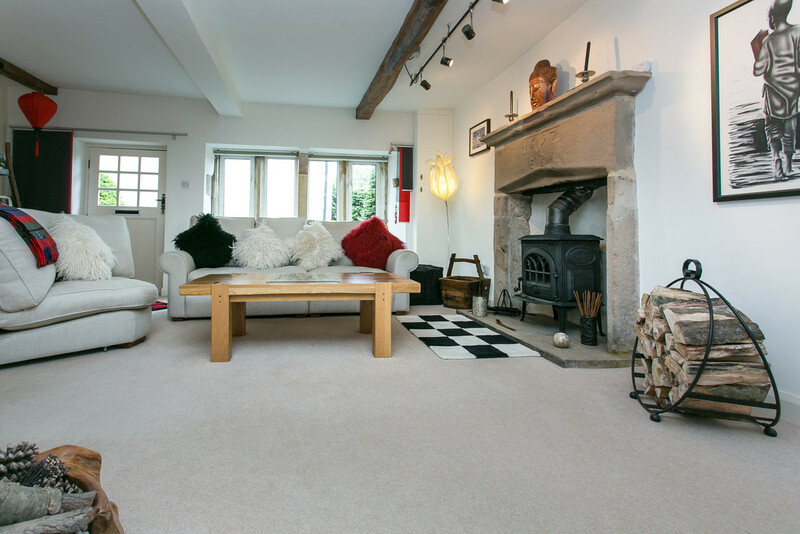 Set within the surround is a large log burner which is perfect for the winter months. 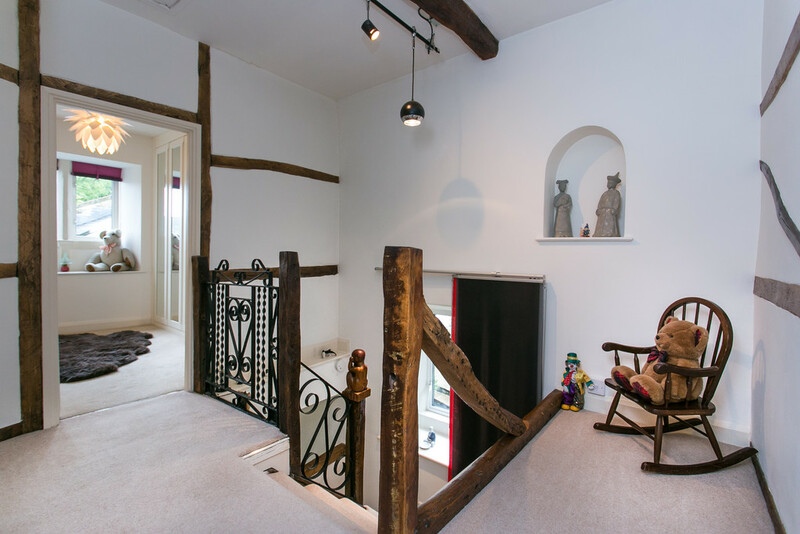 The characterful oak and wrought iron staircase leads up from here to the original first floor, bypassing a beautiful hand carved wooden figurine on the bannister and stone mullioned gallery landing window that overlooks the courtyard. 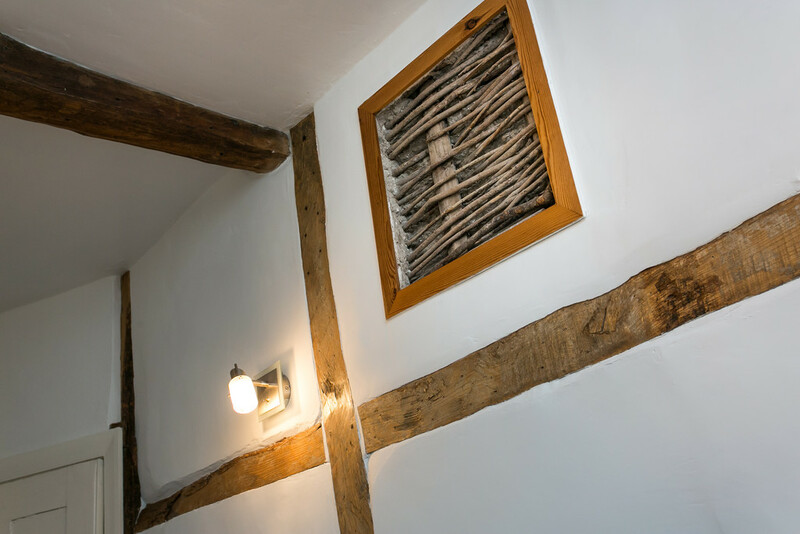 There are two double bedrooms on this floor, both rich in characterful features such as pretty window seats affront the mullioned window, exposed wooden framework and most interestingly a framed section that exposes the original wattle and daub construction. 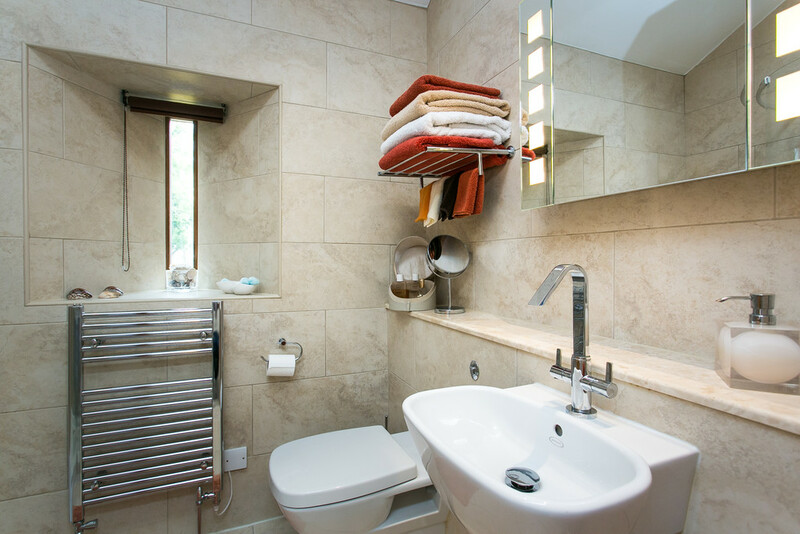 The family bathroom is well planned comprising bath with hand shower and shower over, WC and pedestal wash hand basin. There is also access into a large, fully boarded loft area which runs the length of the main house. 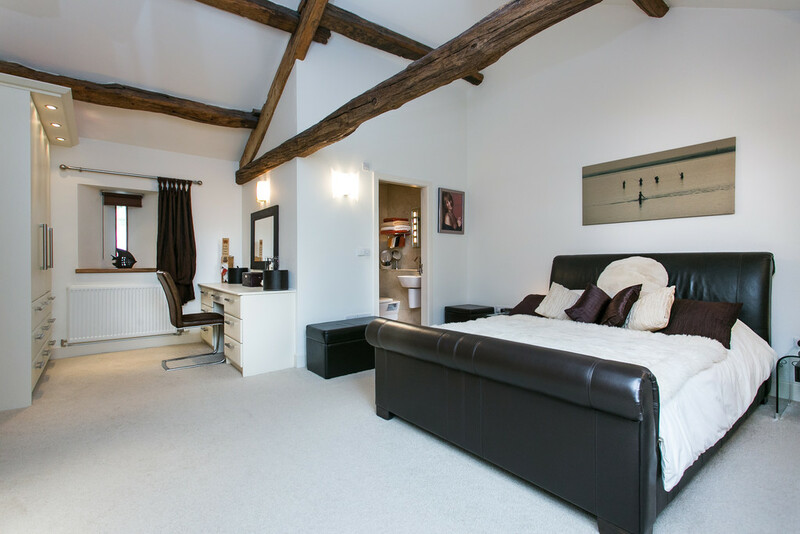 Back to the ground floor and located just off the living room is the versatile rooms of the annexe. 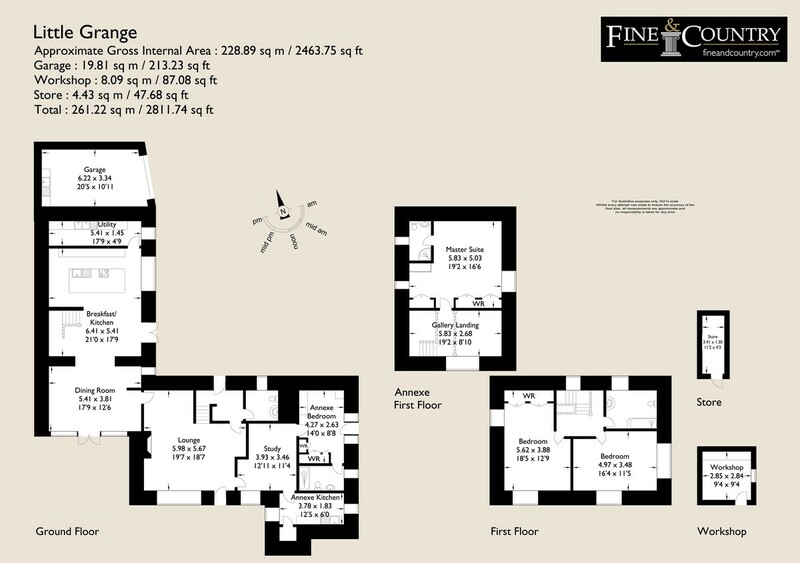 At present this includes a reception room, utility/ potential kitchen and a spacious single bedroom with a range of fitted furniture and ensuite bathroom. This room could easily accommodate for a double bed by removing the fitted furniture if required. 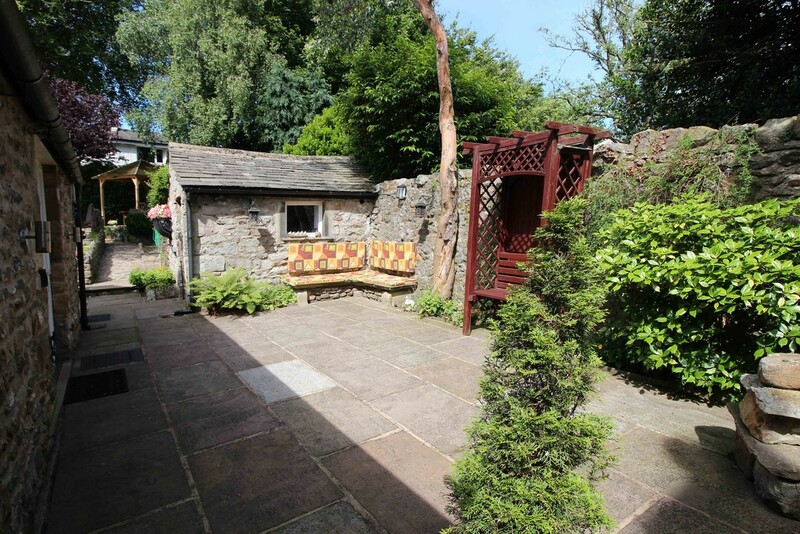 This area of the main house would be ideal for dependent relatives and even enjoys its own external access and walled courtyard which proves as a sun trap throughout the day. 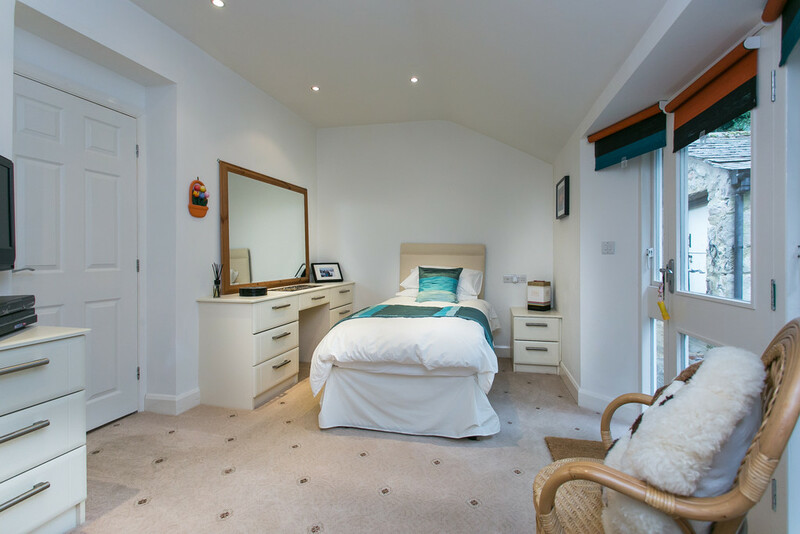 If an annexe is not required, the rooms remain open to the house and the continuing natural flow means you could create an additional reception room, boot room/ utility and have a fantastic guest bedroom with ensuite. 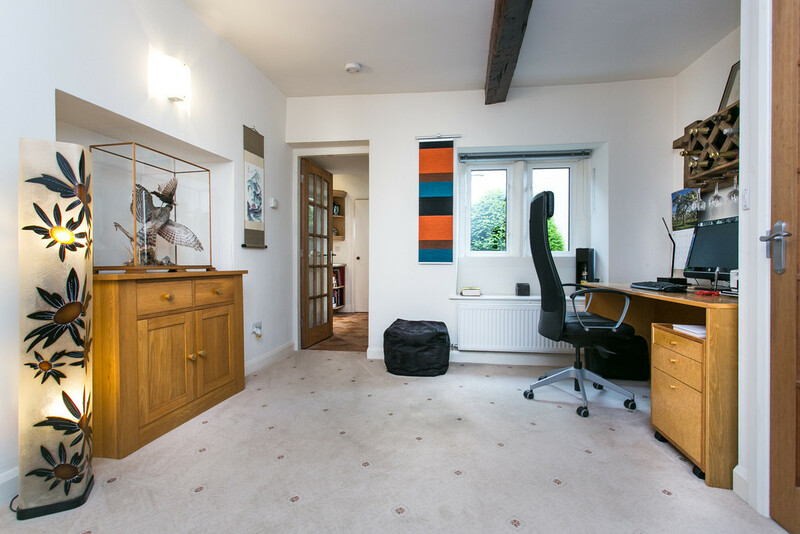 It could also lend itself to a home office, the separate access ideal for such, subject to relevant planning of course. The Weeping Willow stands impressively tall in the centre of the picturesque, golden gravelled front courtyard that is bounded by tall stone walls and a selection of raised flower beds, a vegetable plot and pretty seating area featuring a wooden pavilion which enjoys the best of the days sunshine. 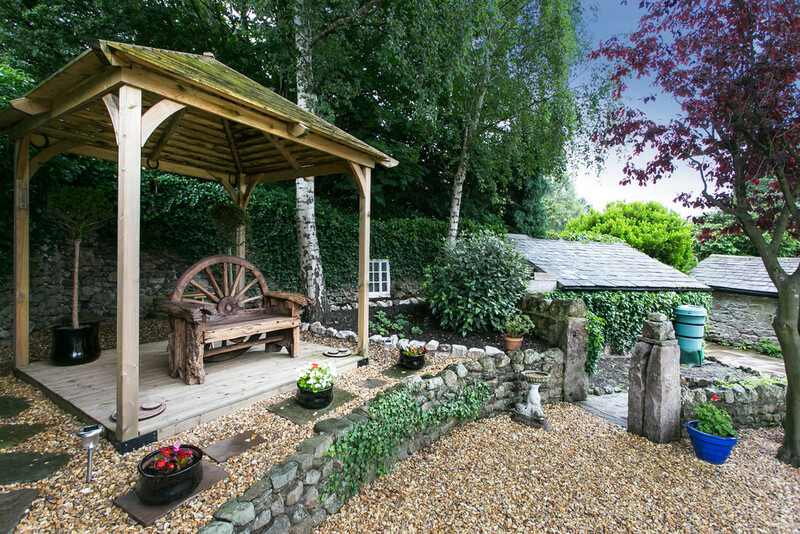 There is an ivy clad, stone built log store and separate stone built workshop. The private courtyard of the annexe can also be accessed from the front courtyard and again enjoys the best of the afternoon sun. There is a flagged patio to the front which includes a perfect patio area for outdoor furniture and barbecuing during the summer months. The garden matches the house and barn in its rich history with an array of wonderful features, each with their own story to tell. A peaceful haven that is a great surprise for such a convenient location and also proves easy to maintain. The attached single garage with electric door is a great addition to the already plentiful private parking the main courtyard affords and also benefits from a range of units, sink, power and light. Directions Head North on the A6 from Lancaster city centre towards Slyne/ Carnforth. 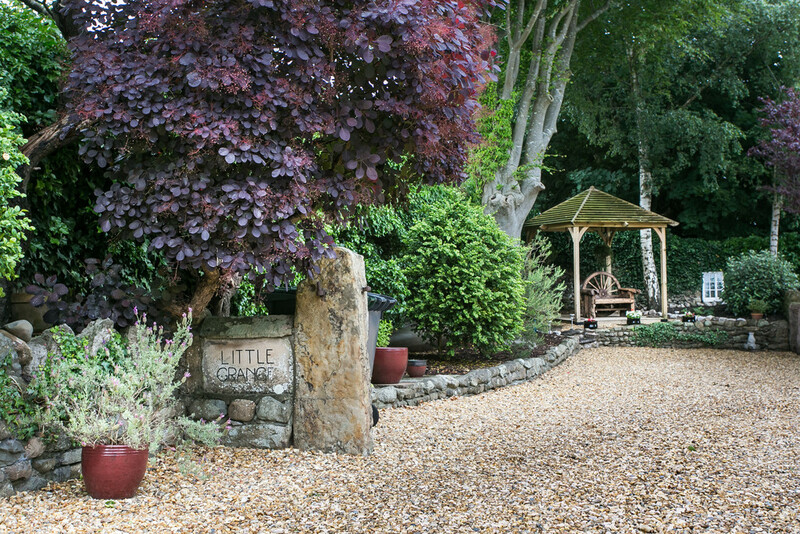 Little Grange can be found on your right hand side shortly after passing The Keys pub and before The Slyne Lodge.